There is currently discussion amongst assessors about whether it is fair to receive an audit failure ‘just’ because the inspection date on an EPC is incorrect. DEAs should be mindful that each time they lodge an EPC they are creating a legal document. It would be unacceptable for a lawyer to issue a Will or Conveyancing document which contained errors, including the wrong date, but some assessors are of the opinion that an audit failure on the basis of an incorrect inspection date is harsh. As an example of how important a correct date can be, consider FiT applications. Suppose a homeowner wishes to apply for a FiT application and commissions an EPC which the DEA then lodges with an incorrect inspection date. The subsequent application is made to the energy provider after which the provider (or Ofgem) discovers that the inspection date declared on the EPC is not accurate. Remember that the tariffs for FiT applications do change and these changes are date sensitive. If the mistake is spotted after the deadline for the higher FiT has passed, the homeowner will be unable to claim the higher rate and will be left out of pocket as the application is invalid. Under the circumstances, the homeowner may then be entitled to bring a claim against the assessor for any direct losses incurred as a consequence of missing out on the higher FiT, a sum which could easily amount to several thousands of pounds. 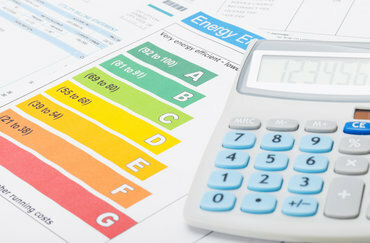 The reality is that Schemes do regularly receive complaints from homeowners about the accuracy of their EPCs and if the inspection date is found to be incorrect, this can cast further doubt as to the overall accuracy of the EPC. In a Court of Law, a DEA would not be advised to use the defence that an incorrect date is of no consequence as a Judge would likely find against the DEA and declare the document invalid. The sum of absolute errors is greater than 5 SAP points. Errors in the dwelling’s description result in a change in the recommendations made. The dwelling’s description is sufficiently inaccurate to cause the customer to doubt the accuracy of the SAP rating.